I FIND the incessant wittering from the chattering classes about Stephen Nolan’s TV and radio shows tiresome. The argument seems to be that by reporting our differences, Nolan is in some way responsible for them – talk about shooting the messenger. 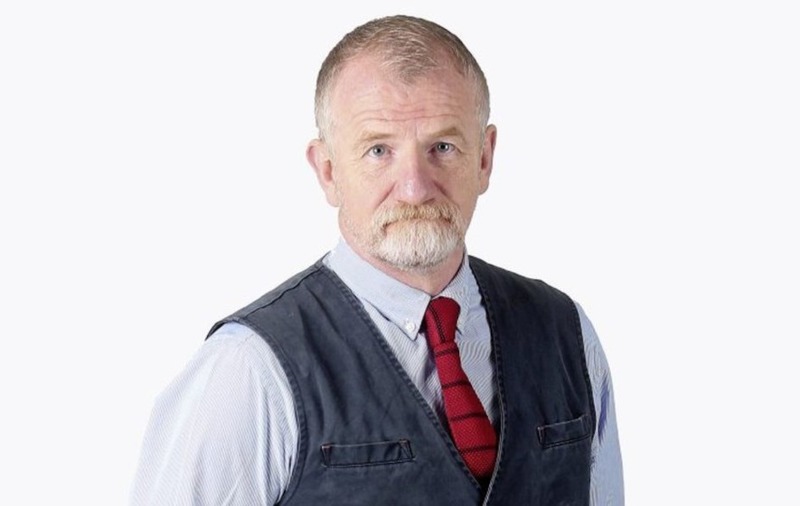 Nolan has built a massive audience who tune in to listen to and watch his shows; he works hard and not once has either he or his team been found guilty of inaccuracy in any of their reporting. The opposite is the reality – he has won a slew of awards and has been blacklisted by the DUP because of his reporting around RHI. And before you ask – no, I’m not a friend of his; the only time I’ve met him is when we shared a lift in the BBC. One of the most oft-heard criticisms of Nolan is that he gives a platform to the likes of Jamie Bryson. ‘He has no mandate, so why is he on the air at all?’, is the complaint. The reason he is invited on to Nolan’s shows is clear: Bryson’s a good turn. Always opinionated, articulate and with buckets of confidence, he speaks for a sizeable section of loyalist society who would otherwise be silenced. It will come as a shock to some that I’ve been in contact with Jamie Bryson online for a number of years. Our Twitter ‘bromance’ blossomed soon after the original ‘fleg’ protests. While not naive about his past, nor connections, I still argue it’s important he’s included rather than excluded. The peace process was founded on bringing those on the periphery of society into the mainstream. On top of that it’s never dull when Jamie’s about. If you doubt that Jamie Bryson is entertaining, all you need do is look back at his antics over this last week. He started by mistaking the Munster flag for the face of a balaclava-wearing terrorist, and ended it by accusing UTV’s Frank Mitchell of disrespecting working-class loyalists by pronouncing ‘flag’ as ‘fleg’. I pointed out the pronunciation ‘fleg’ isn’t confined to any class, creed or political persuasion – rather, is used by all. When Jamie recently commented on the education deficit of working-class Protestant boys I suggested a solution might be less bonfires and more books. As you can see, we seldom agree. Last Monday, Deputy Lord Mayor of Belfast Emmet McDonough-Brown tweeted that he had turned down an invitation to appear on the Nolan radio show to debate with Bryson, and called him "a middling mouth". Personal attacks on Bryson are nothing new: for many, he is nothing more than a Northern Ireland version of Katie Hopkins. I would argue there is a difference – Bryson, unlike Hopkins, genuinely believes much of what he says. McDonough-Brown’s refusal to debate with Bryson was a crude attempt at ‘platform blocking’ and history has taught us this strategy seldom works. When Margaret Thatcher attempted to deny Sinn Fein a platform by denying them what she described as "the oxygen of publicity", her ban backfired spectacularly. Not only did she recast Gerry Adams as a victim of state censorship, but journalists immediately found a way around the ban by using actors to dub his voice in interviews. McDonough-Brown’s approach is sadly typical of today’s sensitive millennials, known as the ‘snowflake generation’. The term ‘snowflake’ originated in Chuck Palahniuk’s cult book on which the Fight Club film was based, and is used to describe someone who is self-obsessed, easily offended or unable to deal with opposing opinions. For example, exclusion orders are being imposed by universities on anything that might be seen as challenging or offensive, such as the recent motion of the University of Manchester Students’ Union to replace clapping at student events with ‘jazz hands’ so as to be more inclusive of those with anxiety or sensory issues, and lecturers at Leeds Trinity University being told not to use block capitals when assigning work to students, in case it upsets them. We desperately need competent politicians such as McDonough-Brown to stand their ground and engage rather than run away from those they disagree with. 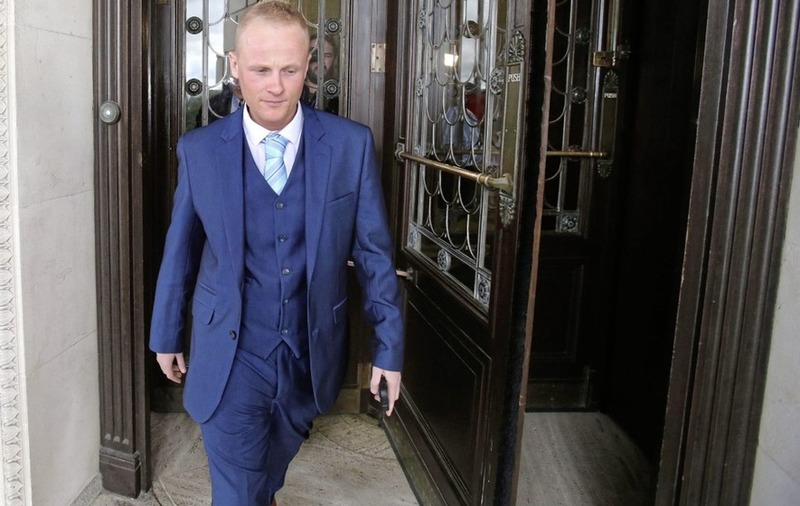 I would go so far as to say Jamie Bryson fulfils an essential function as the voice of many working class unionists who feel their elected representatives have let them down – he is a political pressure valve. So next time you shout at him on the radio, appreciate that a democracy only functions properly when all voices are heard, especially those voices we find obnoxious.